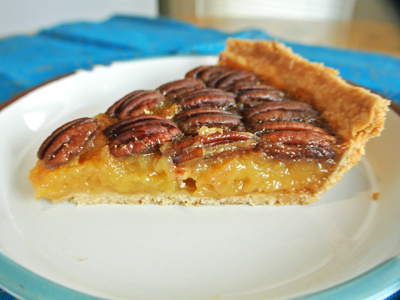 Pecan pie may not be the healthiest thing to eat but it also happens to be one of the tastiest things on earth, so I give it a pass around the holidays. 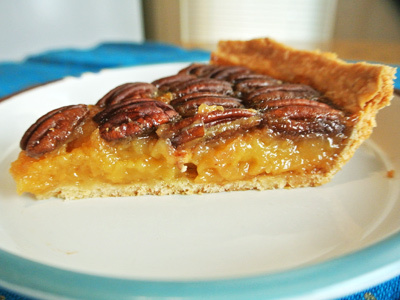 I just don’t think the holidays would be the same without a slice of pecan pie. There’s just something about the creamy buttery sugar filling combined with the nutty pecan that makes your mouth water. I always take my time and savor every bite because I know it will be another year until I taste it again. 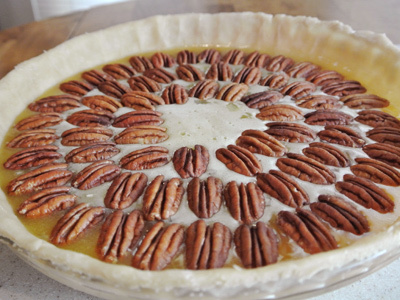 I like to pick out all the biggest and best pecans, lay them out one by one on top of the pie to make a pretty circular pattern. It’s fun to put together and gets a lot of “Wow’s” when you set it on the table! 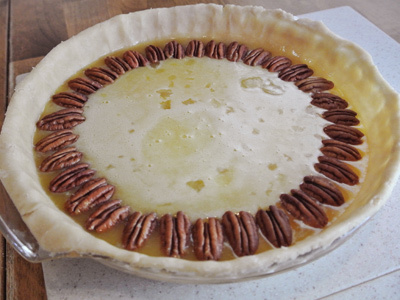 For this pie you’ll need sugar, butter, corn syrup (I like the lite Karo), eggs, salt, vanilla and raw pecan halves. 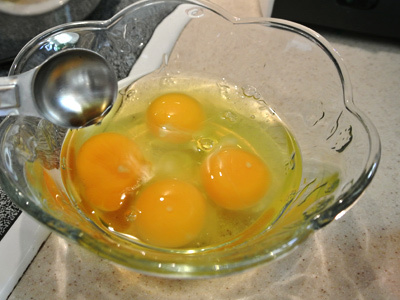 Crack 4 eggs in a medium bowl and add 1/4 teaspoon salt. And 1 teaspoon vanilla. Whisk eggs together and set aside. 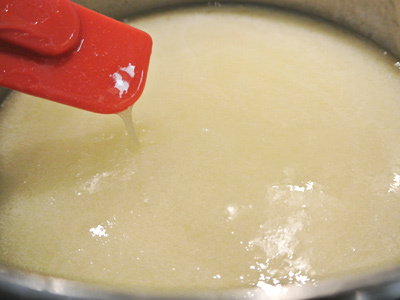 In a heavy bottomed saucepan, add the sugar, butter and corn syrup and begin cooking over low heat. 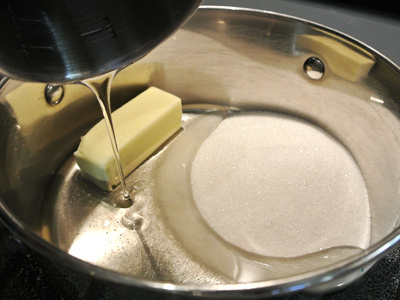 Stir the mix constantly while the sugar and butter melts. 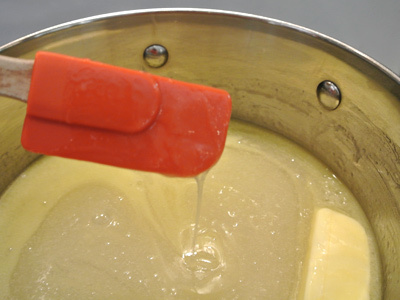 Once the butter and sugar has melted, remove from heat and let the mixture cool slightly. 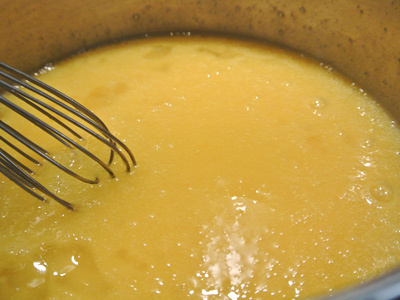 Whisk in the egg mixture quickly to temper the eggs. Continue whisking until you have a golden creamy filling. Earlier I rolled out my pie dough and laid it in the pie plate. 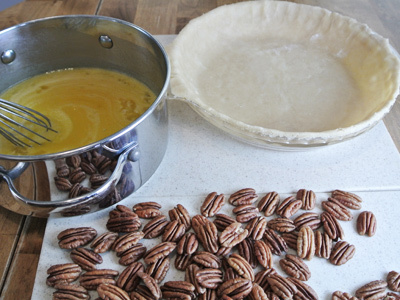 Get your filling ready to pour and assemble the best pecan halves to top your pie. Pour the pie filling into the unbaked crust and begin dropping pecan halves one by one around the outside edges of the pie. Now make another circle dropping pecan halves just inside of the outer circle. And so forth until you reach the middle. Now isn’t that a pretty pattern! I’ll keep practicing on the pie crust, one day I’m going to surprise you all with a pretty pie crust. 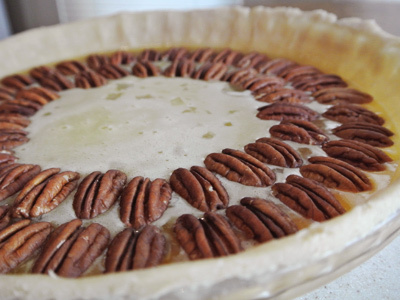 Set the pie into a 325 degree oven for 50 – 55 minutes. I usually cut strips of aluminum foil and use a toothpick to crimp around the outer edges of the crust so it doesn’t get too brown. It’s going to be hard but let the pie cool before slicing. Okay, now that the filling has set you can slice the pie! 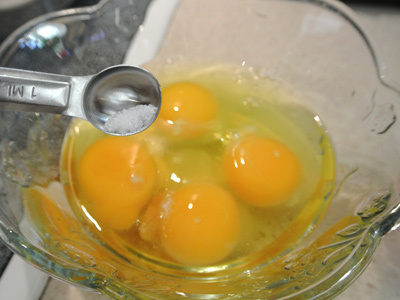 Whisk together the eggs, salt and vanilla in a medium bowl, set aside. Combine sugar, corn syrup and butter in a heavy bottomed saucepan over low heat, stirring constantly until sugar dissolves and butter melts. Remove from heat and let mixture cool slightly. 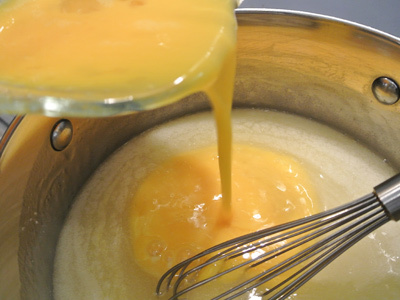 Add the beaten eggs and whisk constantly into the cooled mixture to prevent the eggs from cooking. 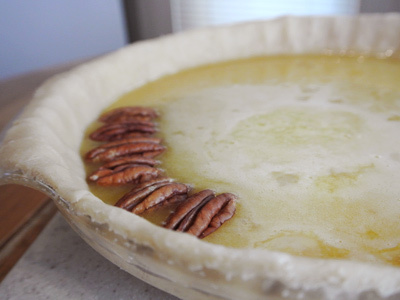 Pour mixture into a prepared unbaked 9″ pie crust. 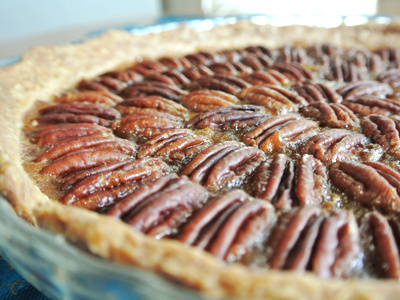 Top with pecan halves. Bake at 325 for 50 – 55 minutes. Tip** Cut 1 inch aluminum foil strips and secure around the outer edges of pie crust with toothpicks to prevent the outer crust from browning too quickly. Remove foil the last 15 minutes of bake time. 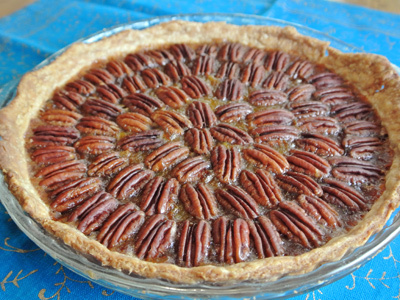 Growing up in Texas on a ranch with lots of pecan trees, I learned to love this pie at a very young age. Yours is beautifully decorated. Oh, thank you Karen. You probably shelled your own pecans too! I’m curious, what part of Texas did you grow up? 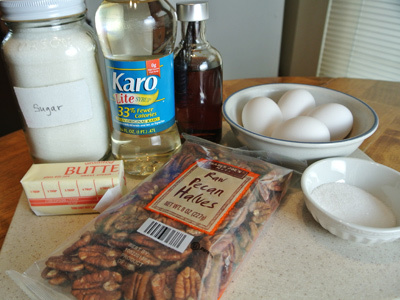 We had relatives in Texas that supplied us with pecans over the years. We lived 20 miles southwest of Houston in Richmond, Texas. 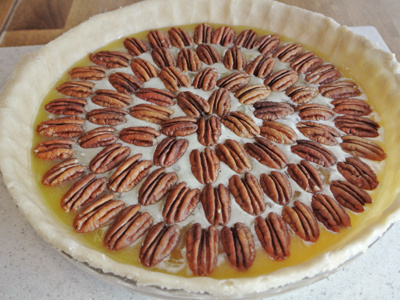 Yes, we did shell our own pecans…always trying to get them out in one piece.